Looking for Glamping at Chilham Castle? Book a glamping village for your wedding or event for your guests to stay in. Our glamping tents perfectly compliment a tipi or sailcloth event and provide unique accommodation for up to six people per tent. 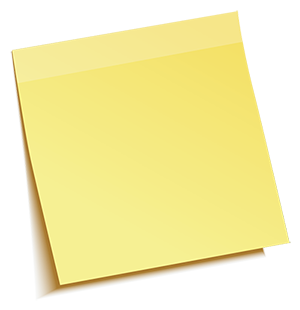 A great alternative to your guests booking into a local hotel and we can manage all the bookings for you! We can set up beautiful bell-tent camping villages as a quirky accommodation option for your guests. 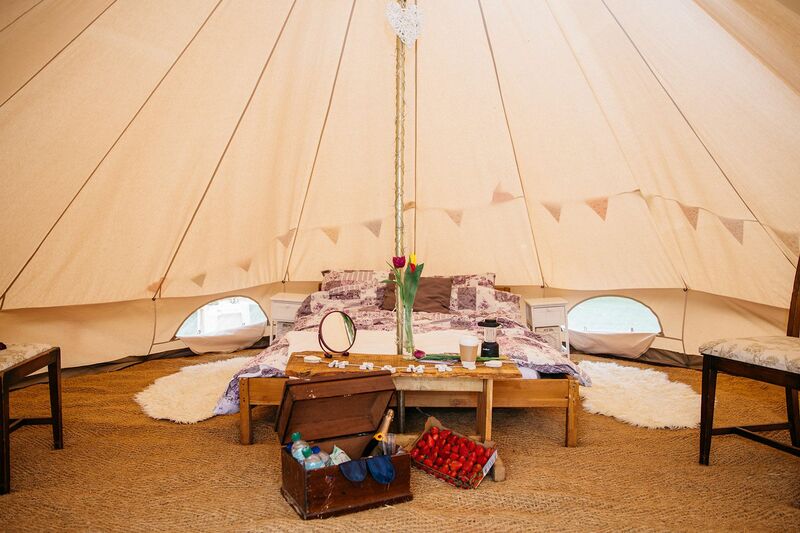 We offer various packages; from empty bell tents, to luxury furnished tents with bedding, bunting and the works. Our awesome bridal tent is most luxurious option of all! 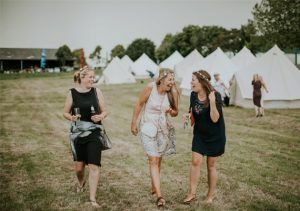 A complete village can be arranged as part of your tipi package or individual tents can be booked and paid for directly by your guests via an online booking system, removing all hassle and cost from the hosts. 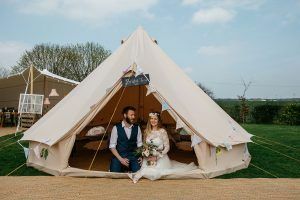 Our bell tent packages and prices are detailed below and are for the entire event hire period. These prices will be subject to a delivery charge if our giant tipis or sailcloth are not also booked at the event. We were very impressed with Events Under Canvas from start to finish. Nothing was too much trouble, they were very accommodating and everyone had an absolutely wonderful time and were blown away with the Tipis.